Product prices and availability are accurate as of 2019-04-15 06:39:18 BST and are subject to change. Any price and availability information displayed on http://www.amazon.co.uk/ at the time of purchase will apply to the purchase of this product. 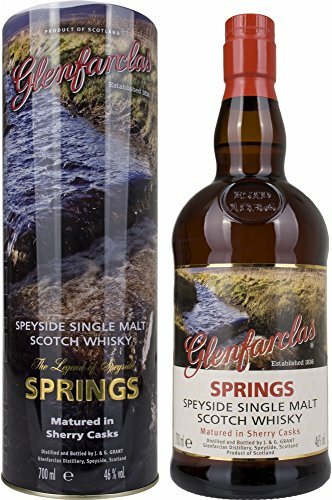 "70cl / 46.0% - Released as part of the Legend of Speyside range for the German market, this bottling of Sherry-cask-matured Glenfarclas single malt Scotch whisky honours the spring water at the core of spirit. Without water, there'd be no whisky. Without water, there wouldn't be much of anything, really."